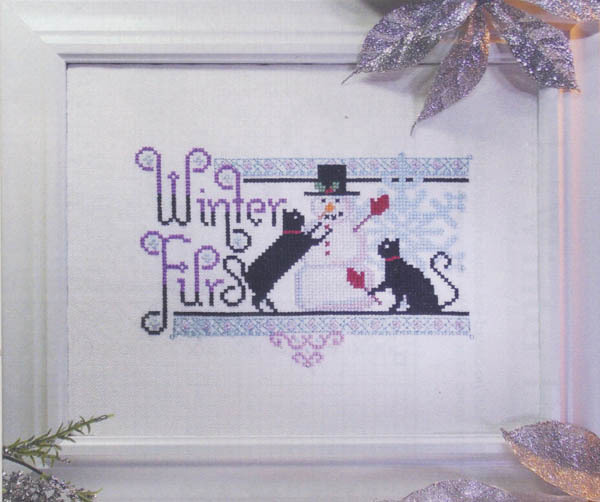 "Winter Furs" - two black cats building a snowman. Count: 95w x 66h. Model stitched on 28ct white Zweigart Jubilee.